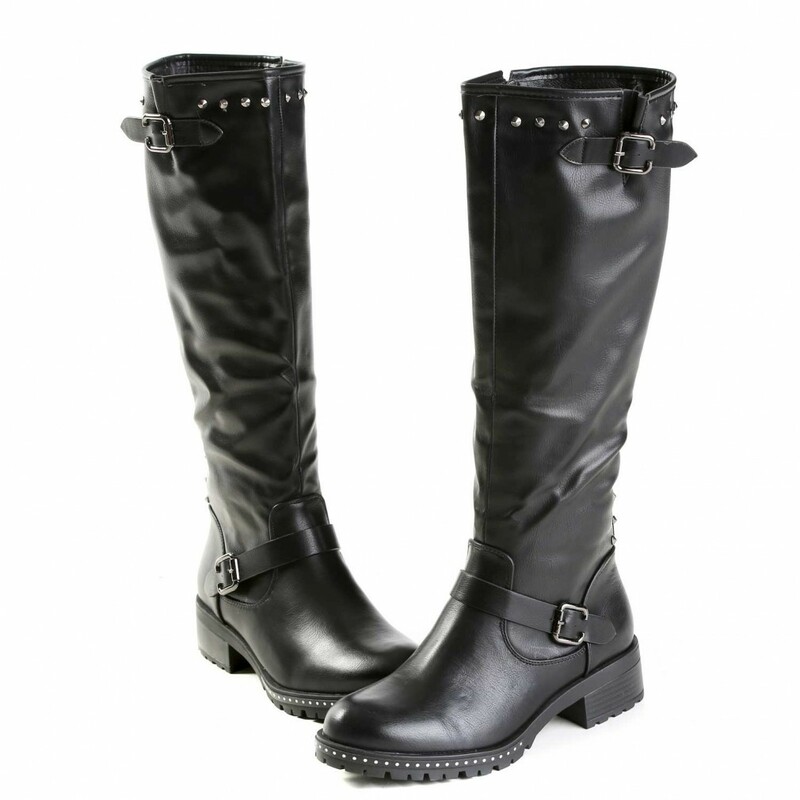 Black boots with decorative buckles and side zipper. Studs above and in the sole. Round toe.